FAQs :: Edible Garden Corp.
Hydroponic means our plants are grown in water. It might surprise you to learn that plants don't actually need soil to grow. As long as the root systems receive water and nutrition you can grow healthy, beautiful plants without the use of soil! 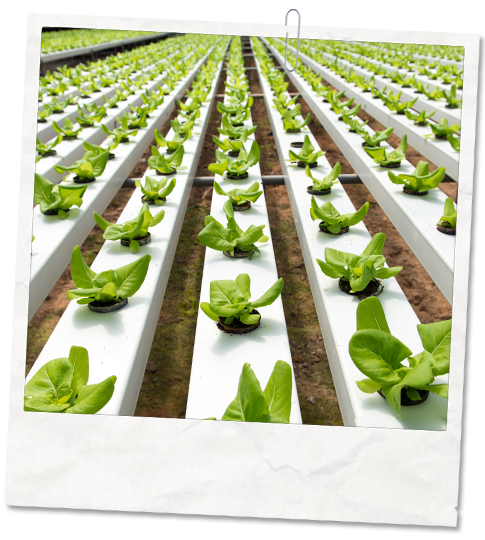 Growing hydroponically allows us to use 90% less water than a conventional farm! Because our root systems are compact, as opposed to spread out throughout the soil we are able to give our plants the exact amount of water they need without wasting a drop. We are also able to recycle water making our type of farming highly sustainable. Is Edible Garden produce certified organic? We have entered the world of organics! Edible Garden recently received our official USDA Organic Certification, and have now expanded our organic line to include all 8 herbs! What are the benefits of purchasing "local" produce? When you purchase Edible Garden, you are doing good for your local community and your health! For starters, local farming creates local jobs. Spending your dollars locally keeps that money circulating to enrich the community in which you live, instead of some far-away Big Business. Edible Garden also supports local food pantries by providing fresh, living produce to those in need. Local produce is healthier for you and your family. Did you know that the produce on your grocer's shelves can be shipped from as far away as China!? Not only does that mean your food is picked prior to its peak of freshness, but the longer it spends in transit the more nutrients are lost. Countries outside the US often have more lax standards when it comes to food quality as well. Those extra "food miles" and the pollution that accompanies them are really bad for the environment. Our produce is sold within hours of our farms and arrives on your grocer's shelves within 24 hours of harvest. This ensures that your Edible Garden produce is highly nutritious and sold at the peak of freshness. What is different about "living" produce? Edible Garden's "living" produce is sold with its root systems intact. This means that when you purchase one of our products it is still alive and growing when you bring it home! "Living" produce is beneficial because once conventional produce is harvested it begins the decay process, meaning freshness and flavor as well as nutrient content begin to deplete. Our produce, on the other hand, maintains all of the freshness, nutritional content, and enzymes of a fresh plant that you harvest yourself just moments before you eat it. That's why we love to say, "You're alive! Your produce should be too!" 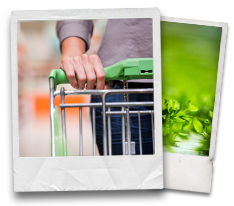 Why should I buy "sustainable" food? The current agricultural system in America is failing both our bodies and our planet. Topsoil is being depleted at alarming rates. Fresh water, a finite resource, is being wasted through irresponsible practices. Agricultural toxins and GMOs have scary consequences that work against Mother Nature and are polluting our precious earth. It is time to take back your power as a consumer and show the guilty corporations you won't stand for it. Vote with your food dollars by purchasing responsibly farmed foods. Your planet and your body will thank you. When will I see Edible Garden produce at my local grocer? Our plan is to become a national household brand so that everyone has access to our nutritious, living produce. If you want to buy Edible Garden products locally there are few ways you can help! Tell your local grocer how much you love us and that you'd like to see us in their store. We are always looking for new farms to join our co-op style business model. If you are a farmer who thinks you have what it takes to join Team Edible Garden (or if you know someone who is) shoot us an email so we can introduce ourselves. We may find that we work together like basil and tomatoes!